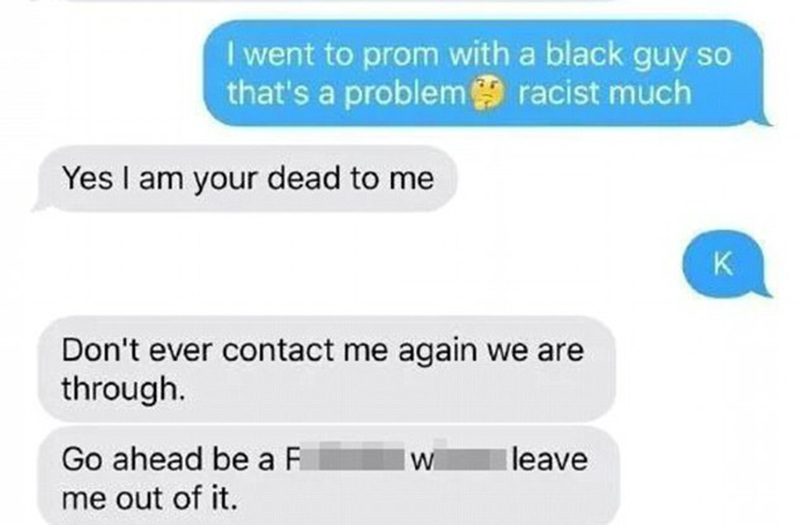 Racist Dad Disowns Daughter For Black Prom Date. Her Response Is Perfect. It’s hard to believe in the year 2017 there are still people who are feeble minded and hateful enough to judge someone based on their skin color alone. 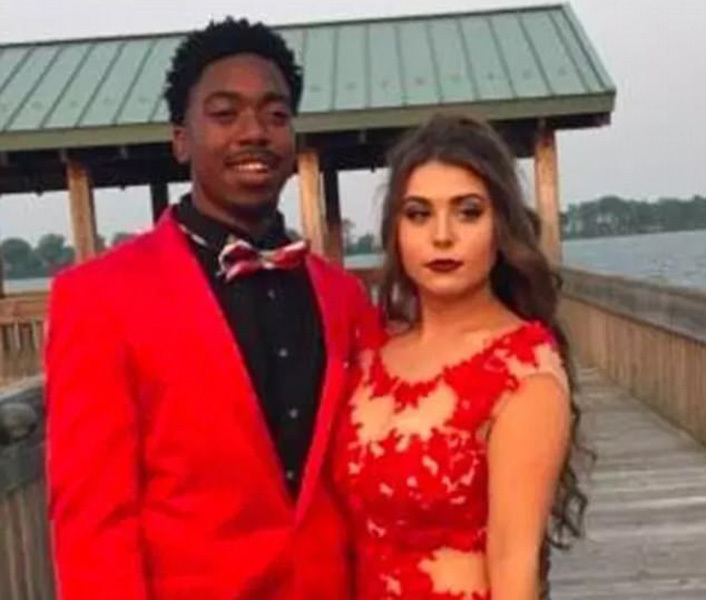 Unfortunately, that is the case for Anna’s father, who sent her a string of hateful text messages when he saw pictures of her at prom with her black friend Phillip. What he said to his own daughter is unconscionable. But her response in #6 gives us some hope for her future! 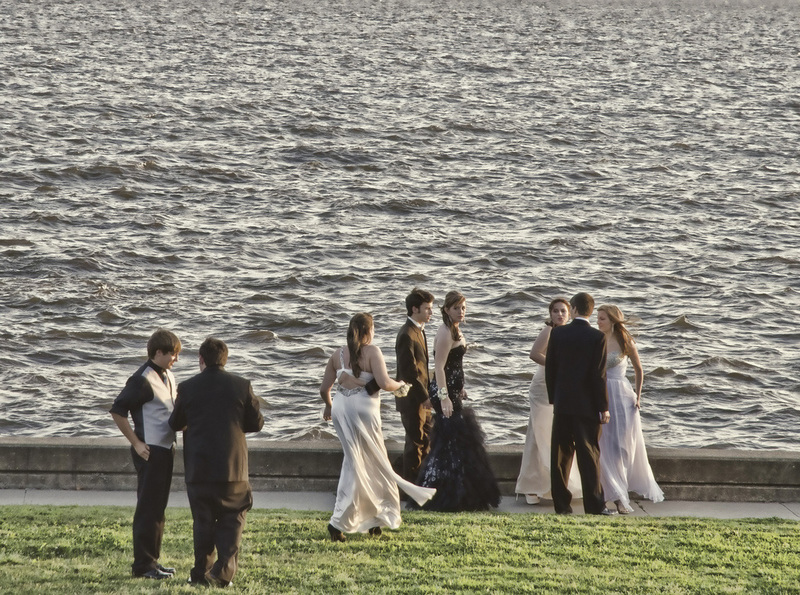 Prom night is a very special time in a high school student’s life. It represents the culmination of four adolescent years spent learning and getting into trouble with friends. Despite all of the pressure of finding the perfect dress and picking a fancy dining spot, not much can ruin the magical moment. Anna and Phillip look fabulous in the pictures they posted from their prom. Her stunning red and white mermaid dress complimented Phillip’s strapping black shirt and pants with a bright scarlet sports coat. Who would have thought that one picture could ruin Anna’s relationship with her father in #8? Anna and her dad have had a rocky relationship for quite some time. Her parents are divorced and Anna lived with him briefly after the split. But she basically grew up with her mother since her early teens. 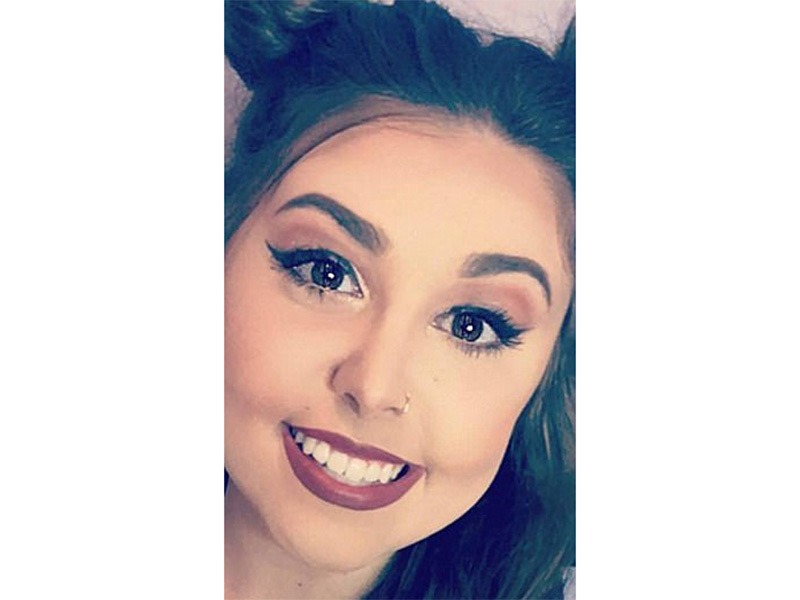 Her father has always been a vocally racist person but didn’t let it affect his relationship with his family, until now. 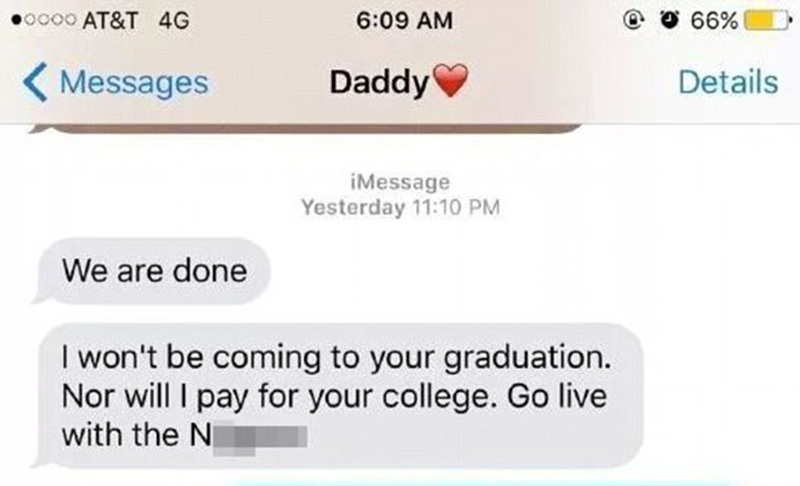 When Anna’s father saw the pictures of her and Phillip he started to send her a string of text messages that began with, “We are done.” He continued his hateful tirade, “I won’t be coming to your graduation. Nor will I pay for your college. Go live with the N*****.” It gets worse on #6. Anna responded as any decent human being would. She did not understand how someone could harbor so much hate. “I went to prom with a black guy so that’s a problem. Racisct much.” The “wonder” emoji was certainly a nice touch. Anna’s racist dad was not the least bit amused. 12 Embarrassing Selfie Fails. Don’t Forget To Check Your Background.